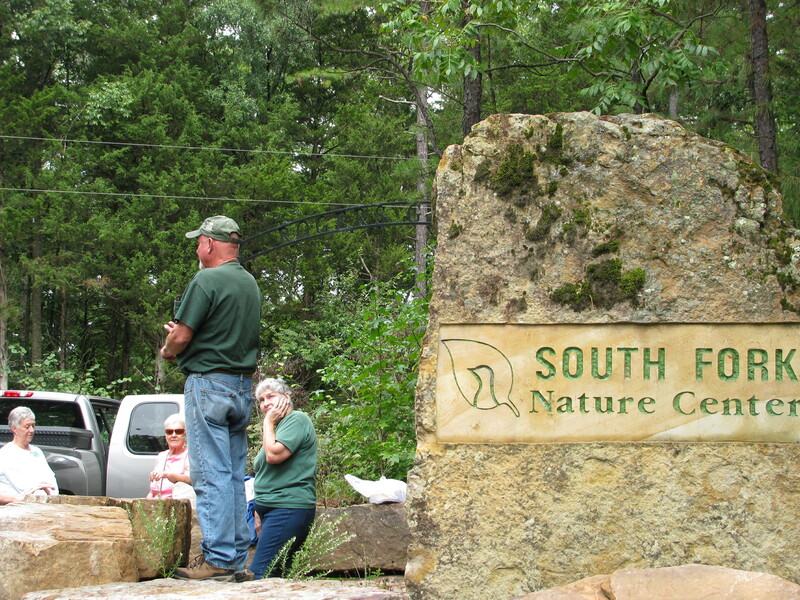 The Van Buren County Master Gardeners conducted their monthly meeting at the SouthFork Nature Center in Choctaw. After the meeting, Steve Smith, a Master Gardener and a Docent for the Nature Center, led the members on a trail walk. Steve noted that the SFNC is the premier conservancy project located in Van Buren County. It is open 24-7 for walk-in excursions along the trails, or to join a trained docent for trail walks on the 3rd Saturday of each month, March thru October. Look for special programs published in the local paper. If you are interested in becoming a Master Gardener and enrollment in the November training classes, please come to the “Meet the Masters” social on Thursday, September 25, 2-4 p.m. It will be held in the VBC Courthouse Annex building, 1414 Highway 65S, Clinton, AR. You may also contact Danny Griffin at the Extension Office 745-7117, for more information and an application.